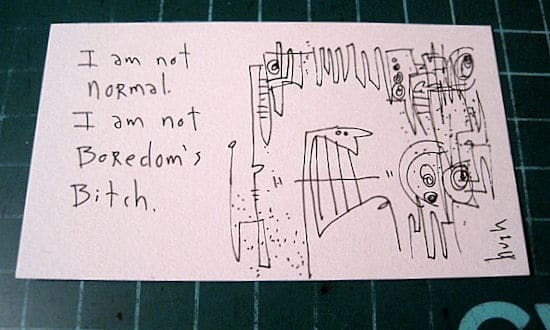 Today’s “Daily Bizcard” design, “I Am Not Normal”, goes to journalist Clive Thompson, who I met briefly in March at SXSW in the Hilton Hotel bar. 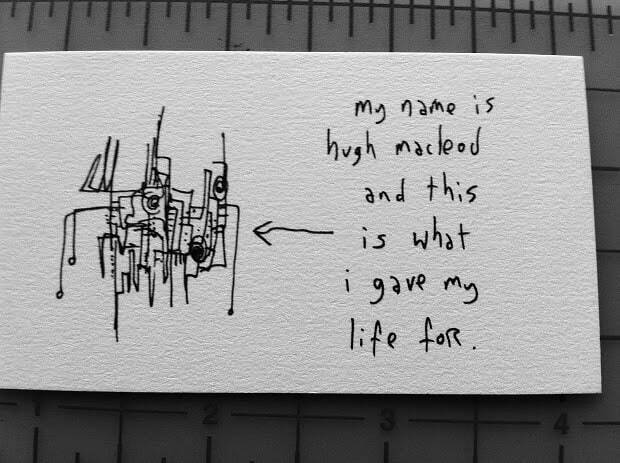 "hugh’s work allows me to make a memory when I hand out a business card." But I’ve come to realise this too: being normal in one group of people means being a total freak in another. You keep doing cards on all the people who inspire me! Clive Thompson’s Wired piece on what happens when you have ‘followers’ was the final push that led me to delete my Facebook and Twitter accounts. And I could not possibly thank him enough. I listen to pretty much anything he says. I’m not surprised you’d find him interesting… you and he share at least one attribute I care about: the ability to write deceptively simple pieces that manage to crawl under your skin. Trojan paragraphs. 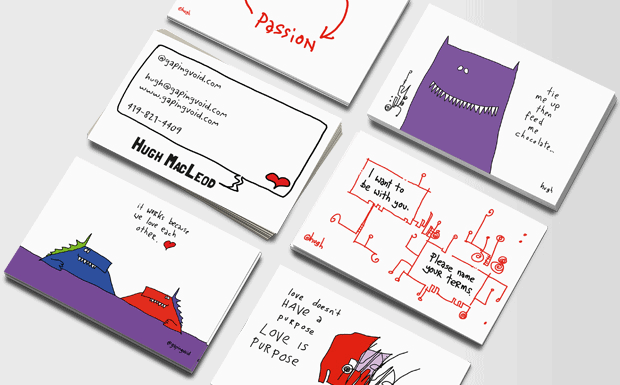 Link: gapingvoid business cards now available on moo.com!